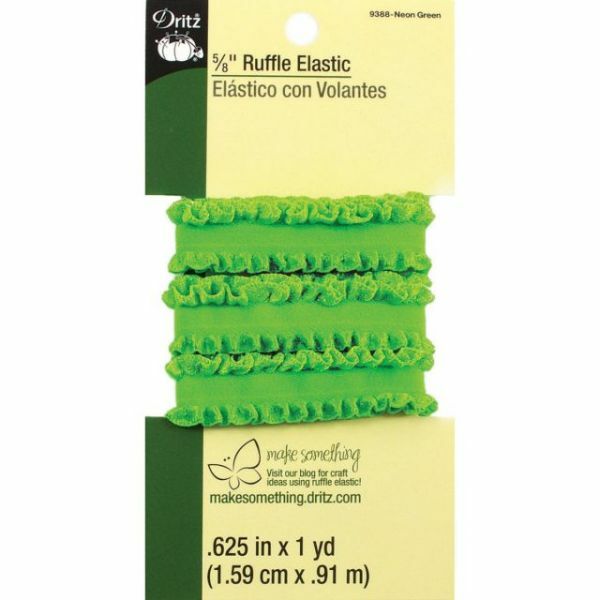 Ruffle Elastic 5/8"X1yd - DRITZ-Ruffle Elastic. 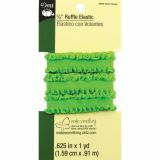 Use this pretty ruffle elastic for that added touch of design to a fabric, scrapbooking or other craft project. This package contains one yard of 5/8 inch wide ruffle elastic. Available in a variety of colors, each sold separately. Imported.